Want to Learn More About Transradial Access? On Monday, March 27, 2017, from 6-9p at Ristorante Morini in Midtown, NYC, Merit Medical and ThinkRadial™ will host a special “introduction to transradial” dinner event to promote clinical benefits and present introductory training information to interventional radiologists. A uniquely beneficial learning opportunity, attendees will have the chance to listen to well-known interventional radiology radialists, Dr. Aaron Fischman of Mount Sinai in NYC and Dr. Darren Klass of Vancouver General and UBC Hospitals in Vancouver, Canada, as they give informational didactic presentations over dinner. Topics for discussion will include the clinical benefits of transradial access and fundamental tips to get started, such as case selection, patient prep, room setup, catheter selection, and hemostasis. What’s more, Dr. Fischman and Dr. Klass will share their expertise by offering a valuable Q & A radial panel discussion. Aaron Fischman, MD, is the Director of Vascular and Interventional Radiology at The Mount Sinai Health System and Associate Professor of Radiology and Surgery at the Icahn School of Medicine at Mount Sinai. He is also Associate Professor of Radiology and Surgery in the Division of Vascular and Interventional Radiology at The Mount Sinai Medical Center. A leader of the transradial technique, Dr. Fischman has led the way using transradial for oncologic liver interventions and uterine fibroid embolization. Dr. Fischman has shared his knowledge and experience by authoring and co-authoring many peer-reviewed publications and lecturing worldwide about novel techniques for minimally invasive interventions. Darren Klass, MD, PhD, MRCS, FRCR, FRCPC, is a Clinical Assistant Professor at the University of British Columbia and an Interventional Radiologist with Vancouver Coastal Health, as well as Vancouver Imaging, practicing at Vancouver General and UBC Hospitals. His hospital appointments include Medical Head of MRI. Performing the first transradial radioembolization and chemoembolization of the liver in Canada, Dr. Klass has performed over 400 radial interventions, including renal and splenic interventions and embolization procedures throughout the abdomen and pelvis to treat acute hemorrhage. Well-versed in the radial technique, his current practice is approximately 90% radial access for liver interventions and fibroid embolization. 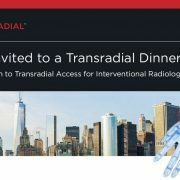 This one-of-a-kind dinner event is open to interventional radiologists who want to learn the basics of transradial access and how to get started. Merit representatives will also be available to answer any “next-step” questions physicians may have. Seating is limited! https://www.merit.com/wp-content/uploads/2017/03/ThinkRadial-Dinner-Event.jpg 627 1200 Merit Medical https://www.merit.com/wp-content/uploads/2018/11/merit-header-logo.svg Merit Medical2017-03-06 14:23:312018-02-23 12:02:27Want to Learn More About Transradial Access? 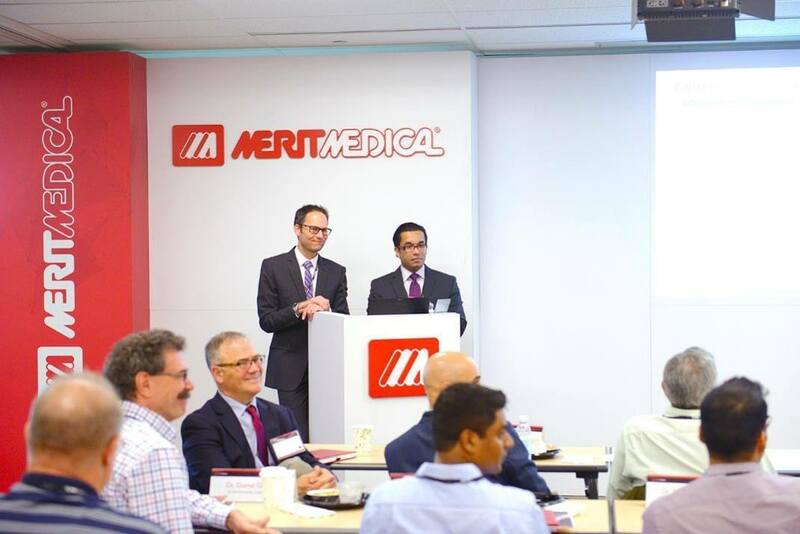 In order to keep up with the growth and progress of interventional medicine, Merit Medical is hosting a dynamic ThinkRadial™ training course on April 21-22 at Merit Medical headquarters in Salt Lake City, Utah. For the first time in the US, world-renowned Interventional Cardiologist Ferdinand Kiemeneij, MD, PhD, will be attending as the special guest of honor, co-proctoring the interventional radiologist and brand new advanced interventional cardiologist courses, lecturing at both training sessions. Sought after worldwide, Dr. Kiemeneij was invited in 2013 to build an intervention program at the Tergooi Hospital in The Netherlands. 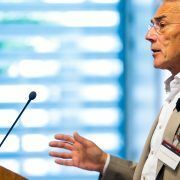 The author of numerous clinical articles and a 2016 book entitled, Transradial Coronary Interzentions, Dr. Kiemeneij has built his practice by combining writing, proctoring, lecturing, and training fellow physicians the world over. Dr. Kiemeneij will co-proctor advanced interventional cardiologist attendees with venerated Interventional Cardiologist Sandeep Nathan, MD, MSc, FACC, FSCAI, of the University of Chicago Medical Center in Chicago, Ill. He will co-proctoring the interventional radiologist portion with esteemed Darren Klass, MD, PhD, MRCS, FRCR, FRCPC, Interventional Radiologist at Vancouver General and UBC Hospitals in Vancouver, Canada. Dr. Kiemeneij will also share his knowledge and expertise during the groups’ hands-on trainings. 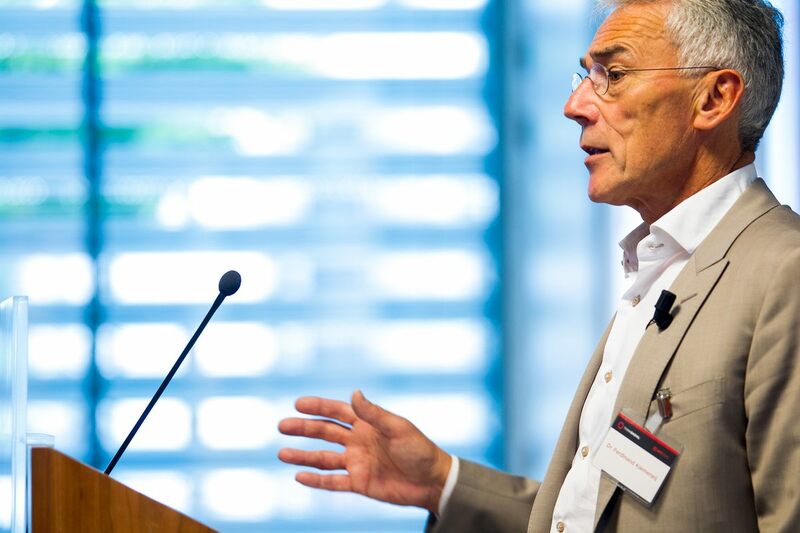 Following the Friday sessions, Dr. Kiemeneij will give an invaluable presentation at a special group dinner event. Space for this program is limited. 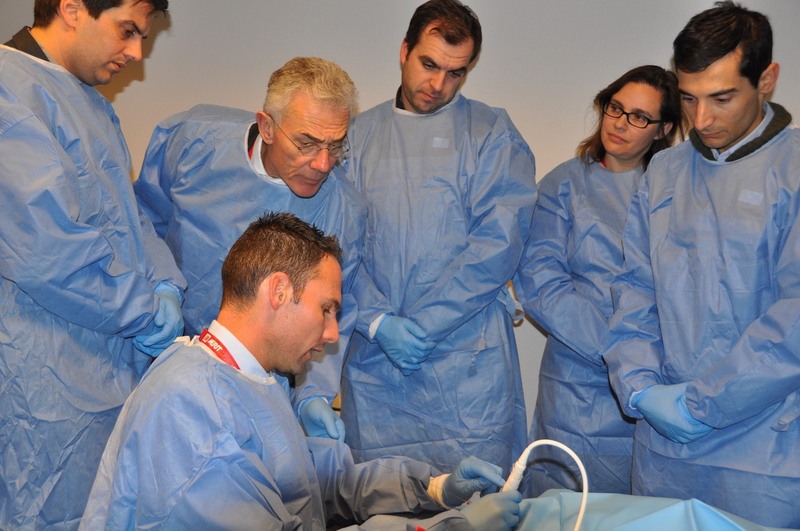 To submit your interest in this upcoming Think Radial training course and learn from the “Father of Transradial Intervention,” talk to your Merit Representative or visit Merit.com/Education. Alicia Armeli is a paid consultant of Merit Medical. Please consult product labels and inserts for any indications, contraindications, potential complications, warnings, precautions and directions for use.